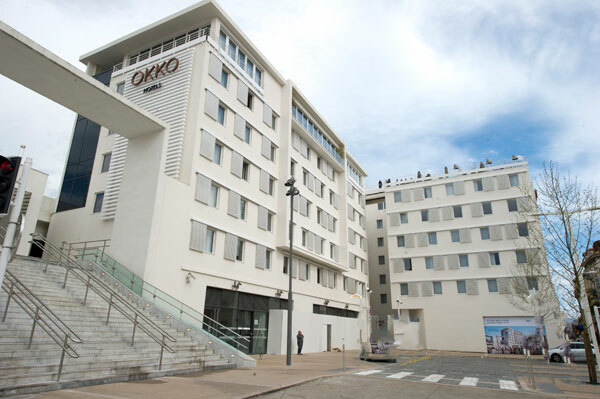 Okko Hotels Cannes Centre, the new 4-star 126-room hotel located on the forecourt of the railway station, was inaugurated March 17, 2016. 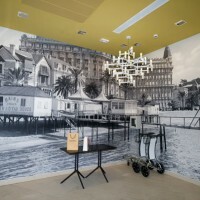 Okko Hotels Cannes Centre becomes the fourth 4-star hotel of the group to open in France. 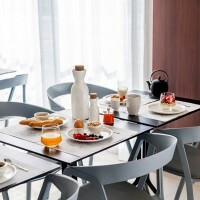 After those of Nantes, Grenoble, Lyon, opened in 2014, the hotel in Cannes marks the arrival of the French group in the South of France. Two other openings will follow in 2016 in Rueil-Malmaison and Bayonne. A dozen other projects are under discussion and will soon be realized. 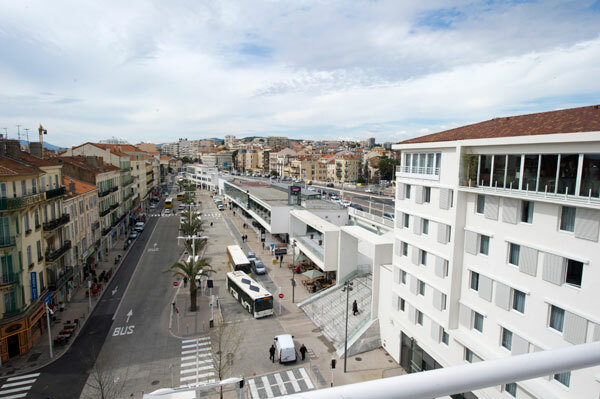 The hotel was inaugurated during the MIPIM, the global real estate rendezvous, on March 17, 2016, by Olivier Devys, President of Okko Hotels chain in the presence of Bernard Brochand, MP, David Lisnard, Mayor of Cannes and Franck Chikli, Deputy delegate to economic development. 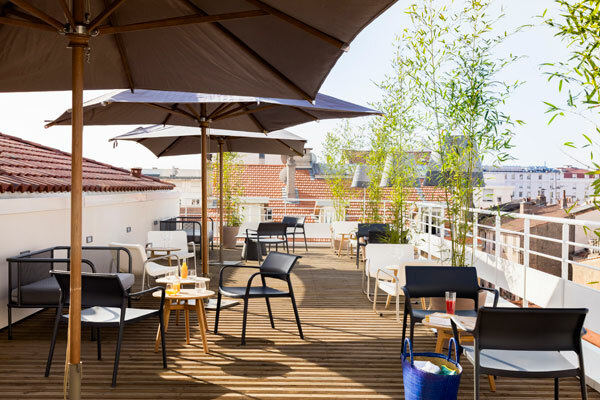 The Okko Hotels Group settles in the Capital of Cinema in a strategic place, in the heart of the city, between the train station, the bus station – the shuttle to Nice Airport make it a particularly accessible by public transport – and the taxis station. Indeed, thousands of domestic and international visitors, business travelers, conventioneers, tourists, arrive in the city of Cannes to attend a conference, participate in the Cannes Film Festival, make a stopover before a trip in the deep south or simply have a holiday stay and enjoy all the summer activities that a seaside town like Cannes has to offer. 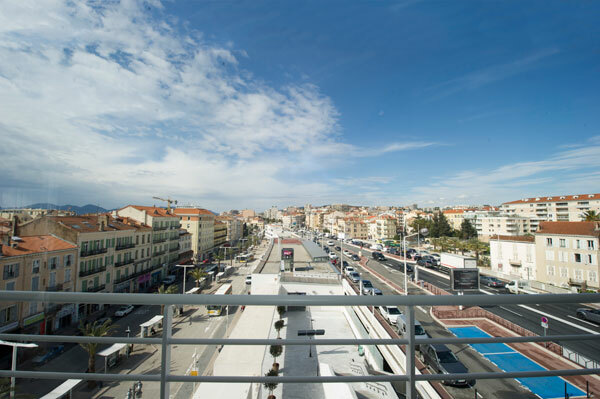 The new urban concept, nestled between the expressway and the Croisette, is a winning bet for Mayor David Lisnard, who, from the start of the renovation of the railway station, had decided to locate a hotel on the embellished site. It is the group Okko – Vinci Immobilier and its 4-star hotel which were chosen. Seen from outside, the building, designed by the company DGLA Architects, blends in the urban landscape. Its elegance, its high and pure line pointing majestically toward the horizon, its sharp immaculate whiteness against the blue of the Riviera sky make it an architectural gem. Bet also won for its more than satisfactory filling rate due to its strategic opening for the MIPIM, the major event for global real estate, which this year attracted 25 000 international delegates. The hotel offers 126 rooms of 18m2, spread over 6 floors. 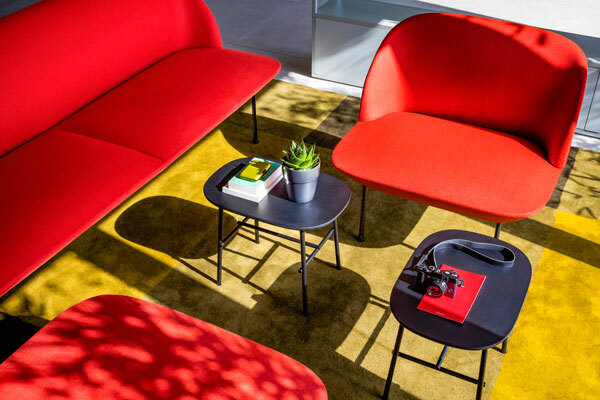 The Scandinavian-style décor is signed by designer Patrick Norguet. 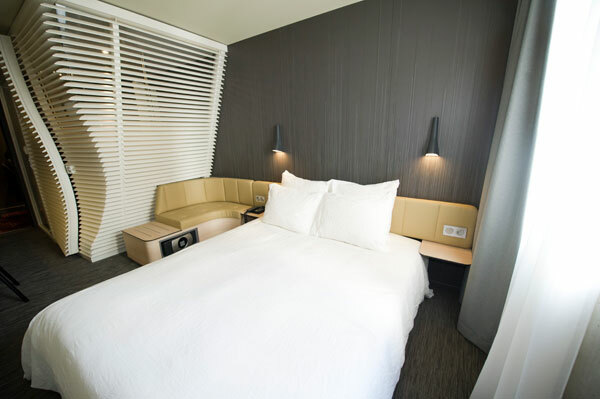 Seeking to give the impression of feeling “at home”, the hotel is primarily targets business or leisure customers and offers a large living space and compact sleeping units with the basics. The layout of the rooms, although standardized, differentiates itself from other hotels by its elegant and contemporary design. The lines are clean, bright and innovative. The space has a perfect sound insulation, high quality bedding, an Italian-style bathroom, a telephone with a function i-Phone dock, a safe, a desk and a dressing room. The extras such as wifi connection, espresso machine and video on demand will appeal to an increasingly demanding clientele. 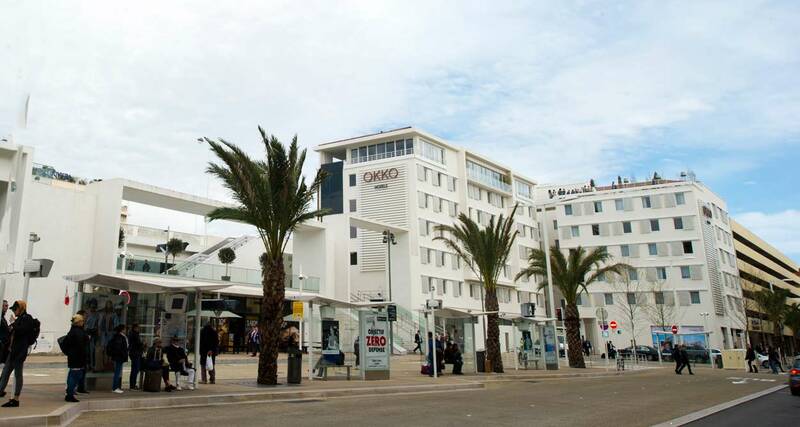 Customers book their room at Okko Hotels Cannes Centre via Internet. With a few clicks, each customer can book, modify, cancel, check the reservations through their Club account. On site, the check-in procedures are minimized. As for the check-out, no clouds: the rooms are prepaid and the customer’s account is debited during the stay, the bill being then sent by email. The technology is therefore no longer a barrier between customers and staff, allowing them to be available to their guests 24/24. Upon arrival, guests are welcomed at the reception on the 6th floor. They can then access the hotel’s heart called The Club. At the Club, the guests do as they like in the wide areas available to them such as the Business Corner, with iMac and printer, relax with a book chosen in the library, facing the huge window overlooking the city, or enjoy a drink on the terrace opening onto the forecourt of the station and the rooftops of Cannes. 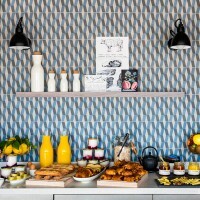 At Okko Hotels Cannes Centre, the price of the room – between 85 and 150 euros – includes breakfast, aperitivo – a premium snacking including a glass of wine and the tasting of Provencal specialities – access to the fitness area with its sauna, VOD, wifi and of course the espresso served at any time of the day. 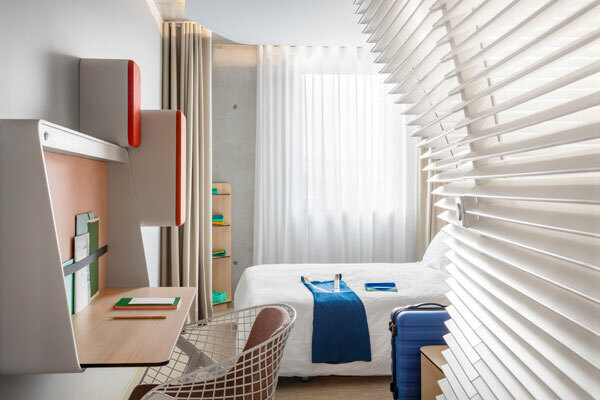 Okko Hotels is a French hotel chain created by Olivier Devys. The group already operates in 4 cities in France: Nantes, Grenoble, Lyon and now Cannes. Two other openings will follow in 2016 in Rueil-Malmaison and Bayonne. Ten development projects are currently underway. The group achieved € 8 million turnover in 2015 and aims to establish a fleet of 50 hotels throughout France. Customer satisfaction is characterized by particularly high marks for the industry: 9.1/10 on Booking. Okko Hotels is ranking in the travelers’ top 3 favorite hotels on Tripadvisor.